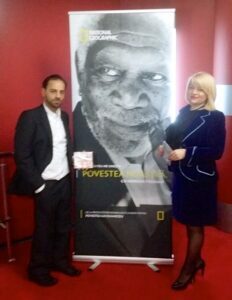 Ruckel attends Romanian premiere of ‘The Story of Us with Morgan Freeman’ – and heads back to the U.S.
On January 10th, Izidor Ruckel attended the Romanian premiere of The Story of Us with Morgan Freeman in Bucharest. 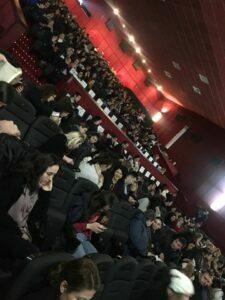 The event, held in Cinema Pro’s largest theater, drew over 400 people, including journalists, social workers, NGO representatives, and Romanian adoptive parents. 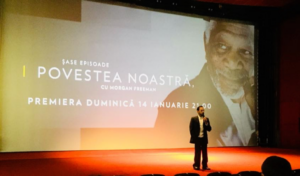 Attendees flocked to watch the mini-series’ third episode, called “The Power of Love.” Subtitled in Romanian, the show featured Morgan Freeman interviewing Ruckel about his life as a Romanian orphan and his subsequent adoption by an American family. Freeman also interviewed Ruckel’s parents, Danny and Marlys Ruckel, who shared about trying to reach into Izidor’s broken heart. “I once again had the certainty that the power of love would never make you feel small… incapable... Ugly.... weak.... worthless,” Cadar-Lumei posted on Facebook. Ruckel conducted a press conference after the viewing. Many Journalists and other audience members asked about Romania’s current state of orphan care. Ruckel invited several child welfare specialists onto the stage to assist in answering questions. The panel noted that although Romania is closing large orphanages, smaller orphanages are replacing them where children are still cared for by a rotating staff. “This approach misses the point as it fails to provide families for these children,” said Liviu Mihăileanu, president of Romania Without Orphans Alliance. Mihăileanu discussed ongoing legislative initiatives that could help speed up the in-country adoption process: lowering the number of relatives sought from the 4th degree, which includes great-great-grandparents, introducing sanctions for not respecting the deadlines in declaring a child adoptable, lowering the number of migrations within the system, and allowing accredited private organizations be more involved. Ruckel was pleased at the audience’s engagement. 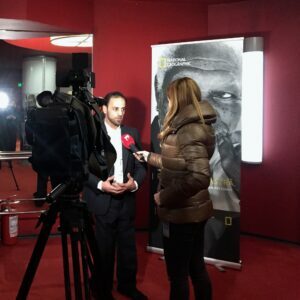 Several media outlets attended the premiere, including Antenna 3, DIGI 24 and A7 TV. In addition, staff from the La Măruță show came to show their support to Ruckel. Ruckel worked with the La Măruță show for two years, facilitating adoptee reunions with their birth families. 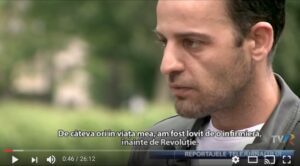 The next day, Ruckel made a final appearance on the La Măruță show. Ruckel now heads home to Denver, Colorado, after spending twenty-two months serving in Romania at Love Light Romania, a non-profit dedicated to providing support services to children, teenagers & families affected by HIV/AIDS. Ruckel worked as a teen mentor. Ruckel said he will now focus on getting his autobiography turned into a mini-series. 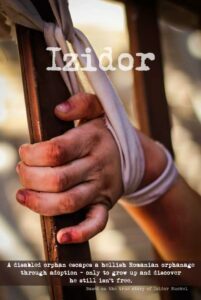 Through the project, called Izidor, Ruckel said he hopes to educate and inspire the world about the power of taking a risk on behalf of others. Izidor Ruckel and Azota Popescu (left) of the Catharsis Association interview on Mix Actual inBrașov, Romania.